Conducted by John Eliot Gardiner, Monteverdi Choir and English Baroque Soloists perform Wolfgang Amadeus Mozart’s Great Mass in C minor, K. 427/417a. Filmed at the Palau de la Música Catalana, Barcelona, in December 1991. Soloists: Barbara Bonney, Soprano; Anne Sofie von Otter, Mezzo-soprano; Anthony Rolfe Johnson, Tenor; Alastair Miles, Bass. Conducted by Sir John Eliot Gardiner, the English Baroque Soloists and Monteverdi Choir perform Bach and Handel. Recorded live on June 22, 2014 during the Versailles Festival at the Palace of Versailles. Claudio Monteverdi’s Vespro della Beata Vergine (Vespers for the Blessed Virgin; SV 206 and 206a); also called Vespers of 1610. Sir John Eliot Gardiner at the Versailles Chapelle Royale with the Monteverdi Choir, the English Baroque Soloists and the Pages du Centre de musique Baroque de Versailles, Palace of Versailles, 2014. Wolfgang Amadeus Mozart’s Great Mass in C minor, K. 427/417a. 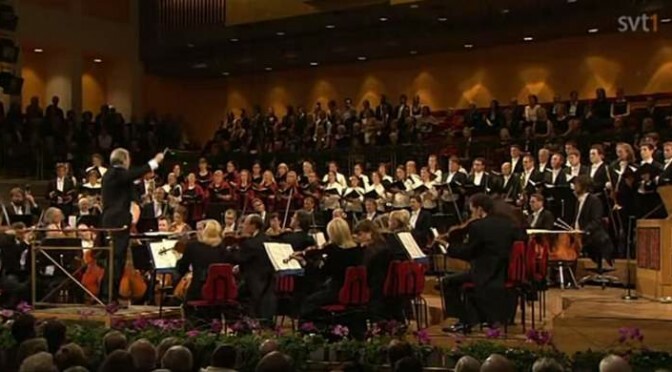 Royal Stockholm Philharmonic Orchestra & Monteverdi Choir, Conducted by John Eliot Gardiner. Enjoy! Conducted by Sir John Eliot Gardiner, Monteverdi Choir and English Baroque Soloists perform Johann Sebastian Bach’s Weihnachts Oratorium (Christmas Oratorio) BWV 248. It is performed in Herderkirche, Weimar, in a beautiful church where this work was originally performed.